A Taste of Patience – By Mohamed Eid Al Araimi « Being The Safe Driver! Behind The Wheel! After twenty years of contentious struggle with handicapped, and its healthy repercussions on both body and soul, I finally decided that its time to vent all my feelings, and make others know what does it mean for a person to find himself suddenly losing sensation in most of his body’s organs, and is no longer able to scratch his nose! “Taste of Patience” isn’t but a desire to deduce the meaning of experiencing what happened, It is an attempt through which, I wanted to reveal my experience with handicap, and the various dimensions of illness and casualties. It is also an attempted to demonstrate that reconciliation with disability does not mean surrendering to its consequences, and yielding to its stipulations, but rather employing these consequences and conditions to enhance my new life. 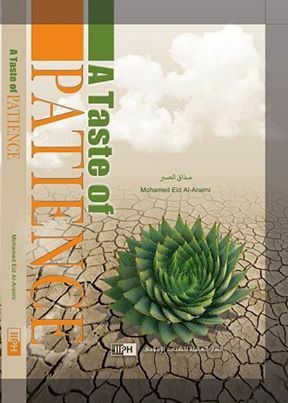 “Taste of Patience” is an away to remove the whir of the questions that possess the minds of many people, whether they are relatives, who find direct questions painful, or strangers whose eyes are filled with wonder and pity for the handicapped person. Book is being sold at The Muscat International Book Fair February 26 to March 6th 2014 with International Islamic Publishing House.